Amazon Prime Video, a popular online streaming service and one of the biggest rivals of Netflix, is now available to users in 200 countries including India. The availability of Prime Video enhances the options for Indian users looking for quality international content. 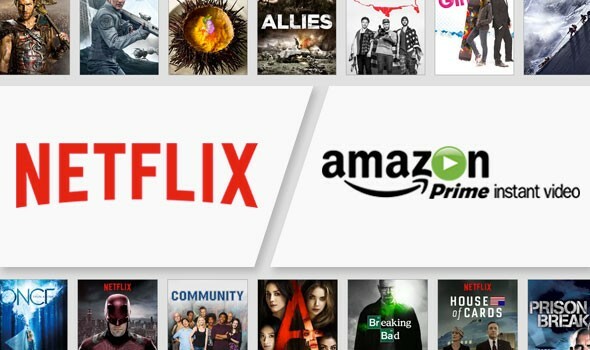 Comparing Amazon Prime Video vs Netflix is like comparing Android Vs iPhone. For context, Netflix was launched in India in January 2016, while Amazon Prime Video was launched on December 14. The Amazon Prime Video is bundled with the Amazon Prime service in India. Both services give 30 days of free trial, after which you will be charged on a monthly/annual basis for online streaming. Both video services are available on Android and iOS mobile apps, which can be additionally streamed on other devices like laptops, smart TVs, gaming consoles and desktops. Netflix in India comes with three different subscription plans. The Basic subscription plan starts at Rs 500 and comes with no support for HD or Ultra HD video streaming. It will let you watch unlimited movies and TV shows of your choice, but limits simultaneous screens to just one. The Standard subscription is chargeable at Rs 650 a month, which in addition to the Basic plan gives you HD viewing and the ability to watch on two screens.So the plan allows you to share your subscription with one family member or friend who can stream on Netflix simultaneously without paying extra. Netflix Premium account will set you back Rs 800 per month and will give you access to Ultra HD content, and allow up to three other family members and friends to stream content at the same time. Amazon Prime Video has a single annual subscription plan of Rs499 which works on smartphone, tablets, Microsoft Xbox, Sony PlayStation, TV and PC. This means a user is actually paying Rs41.50 every month for multiple devices. You need to remember that with Amazon Prime subscription, you also get guaranteed free one-day, two-day and standard shipping, while also giving you 30-minute early access to lightning deals on Amazon India website. You and your family members can watch Prime Video on three different screens simultaneously with a single membership. Best bit is Amazon Prime Video content is available in HD and Ultra HD to all Prime users using the service. Be the first to comment on "Comparison between Amazon Prime Video vs Netflix, which is better"